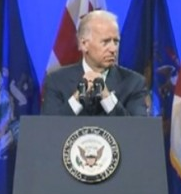 From Mediaite: Joe Biden got booed at a recent speech, but not for why you think. Reports Mediaite, “On the heels of Republican presidential candidateMitt Romney‘s embattled (yet totally successful, in its way) speech before the NAACP Convention, Vice President Joe Biden delivered a barn-burner of a keynote address Thursday morning, and while it remains to be seen if this speech moves the needle electorally, the well-publicized contrast couldn’t be more stark, and is best summed up by the fact that this crowd, who booed Romney three times, also booed Joe Biden…because he told them his speech had to end. The Vice President’s speech was a veritable truckload of raw ribeye steaks for liberals, grilled to perfection by Biden’s easy, confident connection with the crowd, who responded with vigorous applause and frequent cries of agreement. 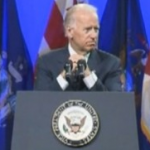 Biden, himself, noted near the end, ‘this is preaching to the choir. 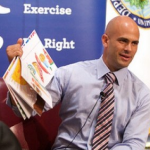 '” Read more about his speech here. From Gossip Cop: Tom Cruise and Katie Holmes continue to top headlines, this time as Tom Cruise threatens to sue tabloid National Enquirer over a story about their daughter, Suri. Reports Gossip Cop, “Tom Cruise is threatening to sue the National Enquirer after the tabloid ran a cover story this week claiming the actor was verbally abusive toKatie Holmes and kept their daughter Suri locked in a ‘tiny, windowless room’ when she was a baby. As Gossip Cop was first to report, a rep for Cruise called the story ‘made up garbage,’ and a friend of Holmes similarly dismissed it as ‘not true.’ Now, in a blistering letter obtained by The Hollywood Reporter, Cruise’s lawyer Bert Fields blasts the Enquirer’s parent company American Media for ‘false and vicious lies’ which he says will cause his client to suffer ‘hundreds of millions of dollars of professional and personal damages.’ Read more about the lawsuit here. From Geekosystem: When was the last time you used a payphone? Now, when was the last time you needed a wi-fi signal? However, there seem to be many more accessible payphones than hotspots in most cities. If you live in NYC, there may be a solution to this problem coming. Reports Geekosystem, “[A] new plan launched in New York City might give these once useful call kiosks a new lease on life by converting them into free Wi-Fi hotspots. The City announced yesterday through their Tumblr that 10 such hotspots across three of the city’s five boroughs are now in operation… This is only a start, as the city insists that it plans a larger rollout across more of the city in the coming months. 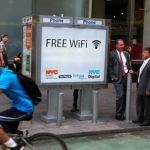 According to GigaOM, the plan is a win-win for the city, its residents, and the phone companies which operate the payphones.” Find locations and read more about the plan here. From Styleite: Fashion icon Rihanna has her own fashion reality show now, and a first look at it is here. Reports Styleite, “[T]he show will premier next month on UK network Sky Living (so we’ll have to hunt for episodes online). It has more or less the same format as Project Runway, but will focus more on styling as a whole than making garments. Each week, contestants compete to dress a celebrity guest judge for an event. The last stylist standing wins the privilege of dressing Rihanna for the Wireless Festival in London’s Hyde Park… Rihanna is the executive producer, not the host, and thus will not appear in every episode like we were hoping. The host will be Nicola Roberts of Girls Aloud, and she will share judging duties with Rihanna’s stylist Lysa Cooper and designer Henry Holland.” Watch the trailer for it and read more here. 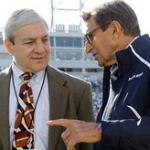 From SportsGrid: The Penn State saga continued this morning as a report was released following an investigation by former FBI director Louis Freeh. Reports Sportsgrid, “Today marks perhaps the most significant event of the Jerry Sandusky scandal since Sandusky’s conviction last month: the release of an investigatio,.. on the university’s handling of allegations of misconduct against Sandusky dating as far back as 1998… As one might expect, that release paints the leadership at Penn State in a harsh light. 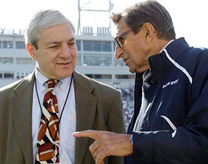 The press release is littered with phrases like ‘catastrophic failure to report,’ ‘total disregard for…safety and welfare,’ and ‘callous and shocking disregard for child victims.’ In other words, in an overarching sense, it confirms what you already knew: Penn State’s leadership structure passed the buck and valued trying to protect its own reputation over properly reporting what it had been told about Sandusky.” Find a link to the report and press release, as well as read more about its revelations, here. 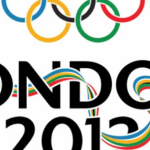 From The Mary Sue: The Olympics are almost here! And girls are ready to run the world! For the first time ever, Team USA is sending more females than males. Reports The Mary Sue, “Of the 530 skilled and determined American athletes heading abroad this month, 269 are women and 261 are men. This first-ever female majority is particularly significant this year, the 40-year anniversary of Title IX, a landmark piece of legislation that required women to have the same federally-funded educational opportunities as men, most notably in the realm of sports. Though every single Olympic athlete representing our nation is impressive and bound to make us proud, there are a few especially notable women we’d like to acknowledge: Amy Acuff(track and field); Khatuna Lorig (archery); Emil Milev (shooting); Karen O’Connor(equestrian); Kim Rhode (shooting); and Danielle Scott-Arruda (indoor volleyball) are all five-time Olympiads, a rare title held by only 24 athletes in total. America’s oldest athlete is 54-year-old equestrian champ O’Connor, and our youngest is 15-year-old swimmer Katie Ledecky.” Read the full story here. 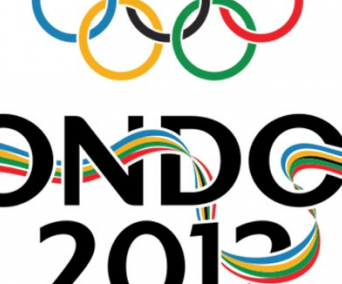 From The Jane Dough: As The 2012 Olympic Games in London approach, there have been both victories and setbacks. For the first time, Team USA is sending more female than male representatives (see above) – an exciting win for women. Elsewhere in the world, though, things aren’t so good – up until today, Saudi Arabia was sending no female athletes. However, The Jane Dough reports exciting news today: “After months of will-they-won’t-they, news emerged this morning that the Saudi Olympic team will include two women, according to the Christian Science Monitor, a judo athlete Wodjan Ali Seraj Abdulrahim Shahrkhani and runner Sarah Attar. The announcement comes after weeks of back and forth for the country, which had until now barred women from competing in the games. The International Olympic Committee, bless its heart, announced this year that any nation restricting its female athletes from eligibility wouldn’t be allowed to compete in London. 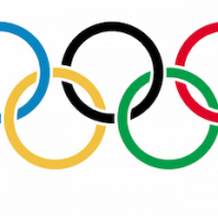 Go, IOC, go.” Read more here. From The Braiser: What could be greater than the President’s personal chef, a beloved children’s book, and a room full of adorable kids? Not much. Reports The Braiser, “Is there anything more adorable than some little kid raising their hand and asking the President’s personal chef what the Obamas eat every day? 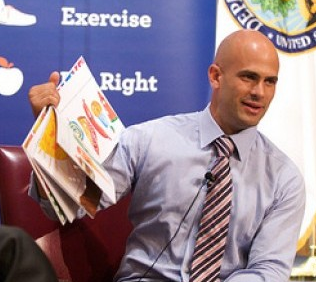 Especially when said Sam Kass is reading The Very Hungry Caterpillar to about a hundred school-aged children? Kass, who was at a Let’s Read! Let’s Move! event (run by the Department of Education to make sure that kids are actually doing something productive with their summers) with the President’s personal trainerCornell McClellan, told the children that Mr. and Mrs. Obama, along with Sasha and Malia, eat ‘lots of vegetables including broccoli, spinach, green beans, brown rice, fish and chicken. '” Read more here.